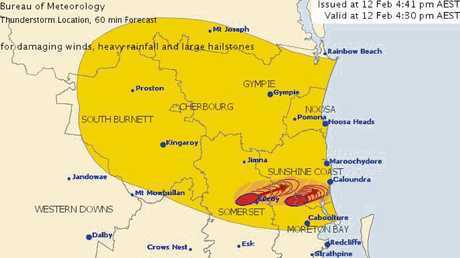 SEVERE thunderstorms producing large hailstones, damaging winds and flash flooding are tracking towards the Sunshine Coast. 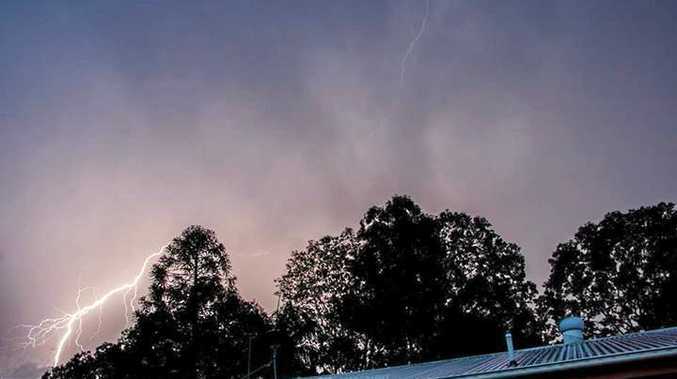 The Bureau of Meteorology activated a severe storm warning at 4.30pm after thunderstorms were detected west of Kilcoy and Mount Beerwah. They are moving towards the east to northeast. They are forecast to affect Mount Kilcoy and the area north of Woodford by 5.05 pm and the area southwest of Caloundra, Beerwah and Crohamhurst by 5.35 pm. Damaging winds, heavy rainfall that may lead to flash flooding and large hailstones are likely, the bureau warns. The next warning is due to be issued by 5.45pm.